Kiwi.com is an online flight search business. 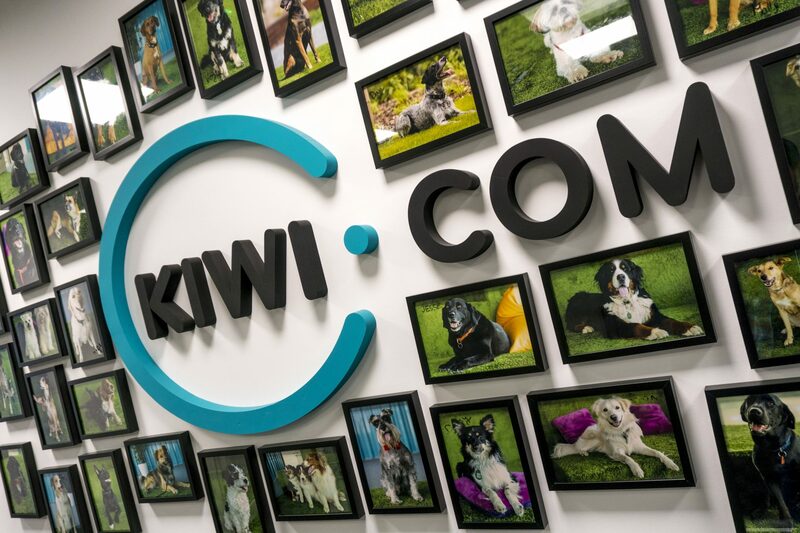 Kiwi.com differs from similar businesses by providing unique features and services. The founding team has created an algorithm that can combine flights of non-cooperating carriers, so the ticket can be much cheaper than the standard offer. The customer can save up to 80% of the standard price on some routes. Also, if a customer fails to make a connecting flight due to a previous delay or cancellation, the company finds an alternative flight or refunds the price. The company Kiwi.com is one of the fastest growing technology companies not only in Czech Republic, but also in Europe. Kiwi.com has received many awards and ranked 7th in the 2017 Deloitte Technology Fast 500 EMEA. The founder of the company, Oliver Dlouhý begun his business career through several business ventures before starting Kiwi.com. He graduated from grammar school in Jindřichův Hradec in 2007 and followed up with studies at Newton College in Brno. The idea to set up a flight search engine came to him after returning from a holiday abroad. He was looking for tickets to Portugal with his girlfriend, but with typical retailers it cost $ 400. This was simply too expensive for the couple – they wanted to use a low-cost airline, but they could find no direct flights offered. Eventually they combined the flight from Praha to Porto with a transfer in Milan and back from Faro through Eindhoven to Prague. This way they paid only $ 100, one quarter of the original price. 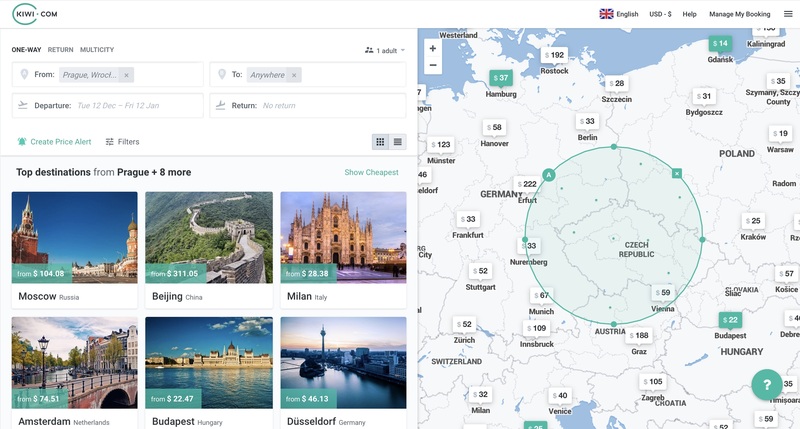 “At that moment it occurred to me, that if the whole search process could be automated, it could make quite an interesting business model,” says Dlouhý. 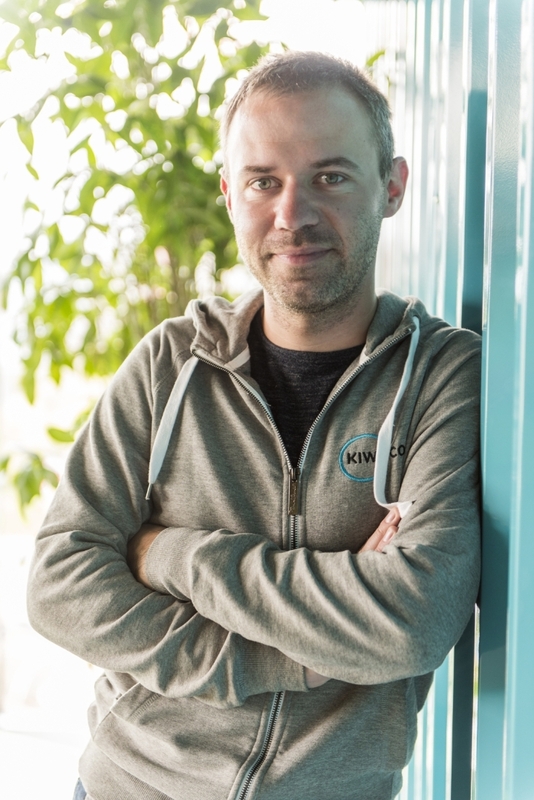 In 2011, Dlouhý founded Skypicker, later renamed Kiwi.com, with five people. By December 2017, the company employed 1,700 people around the world. The sales in 2015 were about $ 100 million, in 2017 they rose to about $ 925 million. Apart from its headquarters in Brno, Kiwi.com has its affiliates in 10 other cities around the world, for example in Barcelona (Spain), in Manila (the Philippines), and in Dalian (China). According to Dlouhý, “The company’s activity consists of three layers. The first is aggregation or data acquisition. Air data changes very often. Every flight – and we have several tens of millions now in our database – needs to be updated (to current price, time, etc.) in a matter of minutes. It is quite demanding for computing performance and for partnerships, because airlines have to pass the data to you somehow. In the second, computational layer, the data is combined. We found that we work with 1×10²³ combinations every minute. Of course, the resulting number that is usable, is much lower, but in order to find the right combinations, it is necessary to work with such huge volumes of data. It’s running on some 300 – 400 servers, we’re hiring the computing performance of supercomputers in the West, from Amazon, IBM and others. The third is the sales layer – customer acquisitions. Currently, 80 to 90 percent of our customers are coming through our partners, which are travel fare aggregators such as Skyscanner or Kayak. You find something there and Skyscanner then goes to ask say 50 airline ticket sellers, including us. We send the offer and if we are the best, the customer clicks and he is transferred to our webpage, where he finishes the purchase of the specific flight tickets. Thanks specifically to our partnerships with those servers we continue to develop and grow. In a situation where we have the cheapest flights and a frequently attended partner, we can grow pretty well. If you decide to book the flights yourself on each of the airline websites, you have to fill in all the information several times in a row, plus it can happen that it won’t be possible to pay for one of the selected flights by your credit card and the whole route will be devalued. With Kiwi.com you can manage the whole process easily on one website. However, the next and most significant risk is that you find a flight with several transfers by different airlines who do not cooperate with each other. And then for example, if one aircraft is delayed and the other one does not wait for you, you will get nothing. When you buy tickets at Kiwi.com, this risk is avoided thanks to our unique feature called Kiwi.com Guarantee. If this happens to you, Kiwi.com will find an alternative flight and refund the price. It is basically a form of insurance, and which is covered by Kiwi.com,” says the founder of the company.